Juuust in case you aren’t sure who Phil Ivey is, let’s get you up to speed. Ivey is a professional American poker player who is regarded as the best all-round player in the world thus far. Ivey has been playing Poker since the late 1990’s, practicing day in and day out with co-workers at a telemarketing firm in New Jersey, until 2002 when he won three bracelets at the World Series of Poker (WSOP). After many wins at various Poker tournaments and beating some of the best Poker players like Amarillo Slim, Ivey won his 6th WSOP bracelet. Throughout the duration of his professional Poker career, Ivey has made more than $17, 500, 000, which has placed him 4th on the list of incredible casino winnings. In so far as online Poker goes, Ivey was a member of Full Tilt Poker, later suing the online company that he claimed had violated his contract. Ivey later withdrew the suit and was released from his contract as he had requested. 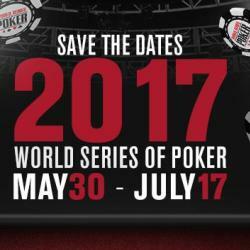 Today, Ivey resides in Las Vegas and still participates in the WSOP and many other prestigious gambling events. He is a huge fan of the L.A Lakers and loves playing Video games and golf. This could also be why he has been nicknamed the “Tiger Woods of Poker”.